After you take an inventory of all your identity components and identify where they are, you need to asses whether 1) your personal information inventory list needs to be modified, and 2) your actions for using and managing your information is appropriate. These are the third and fourth Identity KAOS principles. a) Do I need all these credit cards or online accounts? Think about whether you need all that is listed. Eliminate any you might not need and reduce your risk. Close the accounts properly by calling or writing to the credit card company, shred your cards, return the cards to the company if required, and mark closed with the date in your inventory list. With regards to online accounts, make sure you delete all personal information from your profile before you close the account. b) Do I need to apply for another loan or open another account? Always ask yourself whether you need to add one more item to your personal information list. The less items on your list, the less you share your personal information with others, and less items you need to protect. c) Which ones would I discard if I had to eliminate one or more? Eliminate the ones that provide the least benefit but provide greater or equal risks. d) Do I have all the related information such as the company name, phone number, frequency of statements, password or the credit card number? Always include all related information in case you lose that piece of information. For example, writing and knowing your credit card number, the company phone number, or your passport number is very useful in case you and need to replace them immediately. Or, knowing the frequency of a certain statement will trigger an alert if you don’t get the statement on time in which case you would have to follow up with the institution right away to make sure it was an honest mistake and not the result of an unauthorized address change. e) Where is each individual piece of information kept? Ask yourself, where is my passport right now, or where is my xyz credit card? Is it in my wallet or in my briefcase? Knowing where it is will help you better protect your information. f) Have I shared any of this information with anyone? Just think about how you use or share any of the information such as when, with whom, or how often. If you have sent any of the original pieces to anyone such as a birth certificate, make sure you follow-up and get it back. Sometimes, when you apply for a mortgage, some original documents are required from you, or a child’s original birth certificate is required for certain transactions. Just make sure you get them back. • Do I need to carry the original item? • Must I carry multiple credit cards? • Should I use credit or debit card for purchases? • Should I change the location of my identity component? • Do I really need to write down my pass code in plain English? • Am I supposed to share my information? In conclusion, assess your information and actions very carefully. 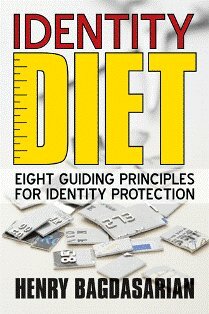 This is a very important process that will change the way you think about and approach identity protection. This is not a one time process but a continuous one that requires your conscious involvement and awareness about identity theft as you manage your personal information on a daily basis. We will further discuss the best identity protection practices later. After you assess your information, learn about the 3rd step in the KAOS™ principles, "organize your information".